At the 2000 Olympic Games in Sydney, much of the focus is on the athletes’ quest to shave tenth or hundredths of a second off world record times. the last 40 years or so. 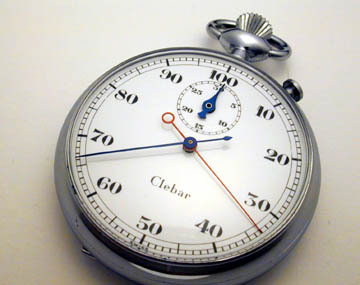 In the not so distant past, timing was done manually, by a team of timers, each assigned to record the lap and finishing times for a specific participating athlete. To provide some compensation for problems with equipment and to remove some of the human error in timing, multiple timers were assigned to each athlete, which were averaged for the official results. 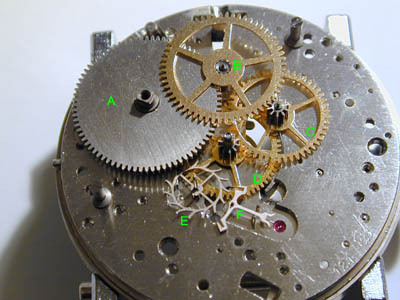 to timers with high quality movements incorporating jeweled escapements, column wheel control, and rattrapante mechanisms. 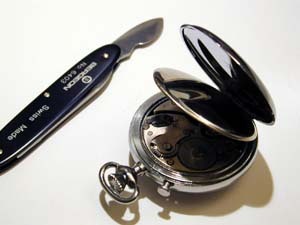 The Clebar pocket timer is an example of the latter. that it is marked in 1/100ths of a minute rather than seconds. wouldn’t call for a second glance in a regular timekeeping movement. 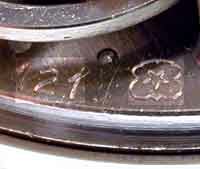 a means for customs officials to recognize the factory of origin. jewels) and case (by composition). and is typically no longer seen outside of ETA movements. into ETA. Some NOS Venus movements have been used recently in high-priced limited edition chronographs by Minerva and Jacques Etoile. to remove all burrs or other contamination which could cause alignment or operational problems. 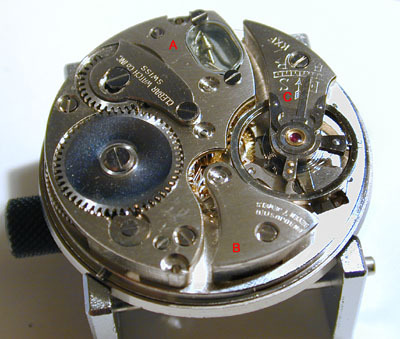 to be serviceable by a watchmaker. 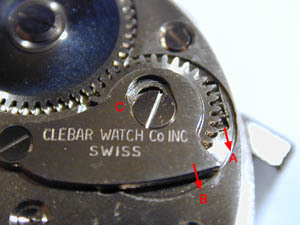 IWC perpetuals is the only contemporary example of this practice. 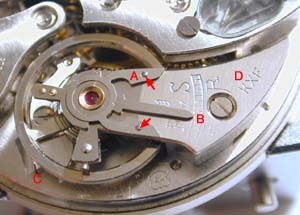 once force on the winding pinion is removed. lack of need for a time setting position. 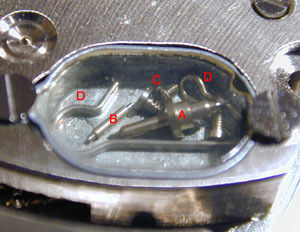 “Parachut” shock protection credited to Abraham-Louis Breguet. 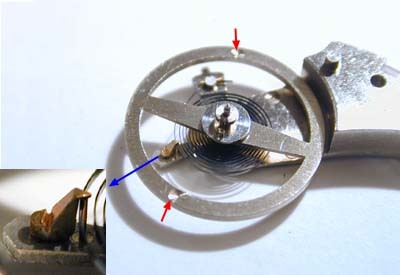 hairspring from being caught as well. This is the end of Part I.